Charleston is the oldest and one of the largest cities in South Carolina. The city is located on the Intracoastal Waterway just south of the midpoint of the SC Atlantic Ocean coastline and is the northern tip of what is known as the South Carolina Lowcountry. It is situated on Charleston Harbor, which is an inlet of the Atlantic created by the confluence of the Cooper and Ashley Rivers. The city of Charleston is renowned for its eventful history, unique architecture, a popular restaurant community, and above all, its friendly people. 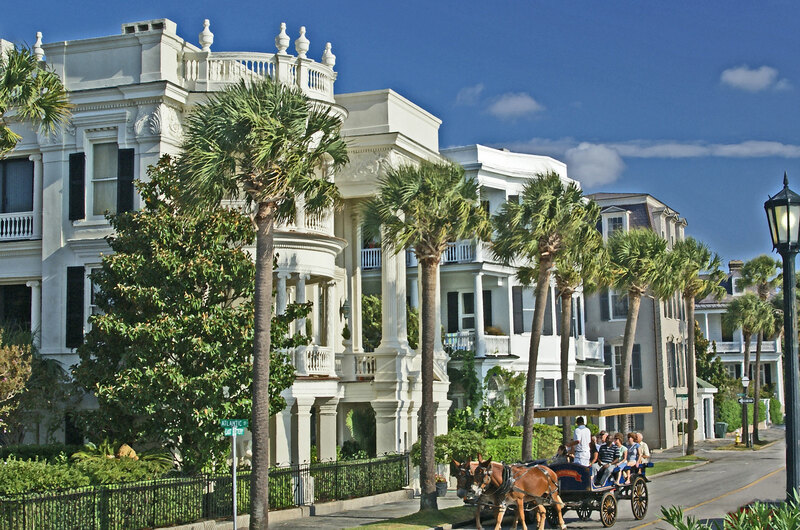 The Conde Nast Travelers “2012 Readers’ Choice Awards” selected Charleston as the “Top Destination of the World” and the “Top U.S. City.” This is the second consecutive year when Charleston earned this coveted top U.S. City ranking. In terms of educational facilities, since a large part of the city is situated in Charleston County, it is covered under the Charleston School District. However, a part of the city is served by the Berkeley County School District. Higher education public institutions in Charleston include the The Citadel, which is a military college in South Carolina, and the College of Charleston, which is the 13th oldest university in the country. Charleston is also known for its Medical University of South Carolina and the Charleston School of Law. The city is home to a campus for Trident Technical College, which is the region’s technical school, as well as the Roper Hospital School of Practical Nursing. The American College of the Building Arts in the city is the only college in the United States to offer bachelor’s degrees in the building arts. Charleston also boasts of a number of historic buildings and art and history museums, among other tourist attractions. One of the major attractions of the area is the Calhoun Mansion, which is a Victorian home sprawling over 24,000 square feet of area. Another eminent landmark is the Charleston Museum, which is one of America’s oldest museums, founded in 1773.